Jessica Lee from Glasgow Rapide TCT set the day three afternoon session underway in the Women’s Sprint Qualifying event with a 12.796 ride. Defending Champion Jessica Varnish, last to set about qualifying, could only manage a third place with a 11.370. It was Danielle Khan that qualified in first position posting a respectable 11.349 with Victoria Williamson second at 11.358 & Katy Marchant fourth 11.400. Danielle Khan, Victoria Williamson, Jessica Varnish, Katy Marchant, Helen Scott & Lauran Quenby ride through round one of the Women’s Sprint Event. The Velodrome is lifted with the chorus of children enjoying an afternoon out cheering the riders as they past the home straight. Khan, Williamson, Varnish & Marchant go through to the semi finals. 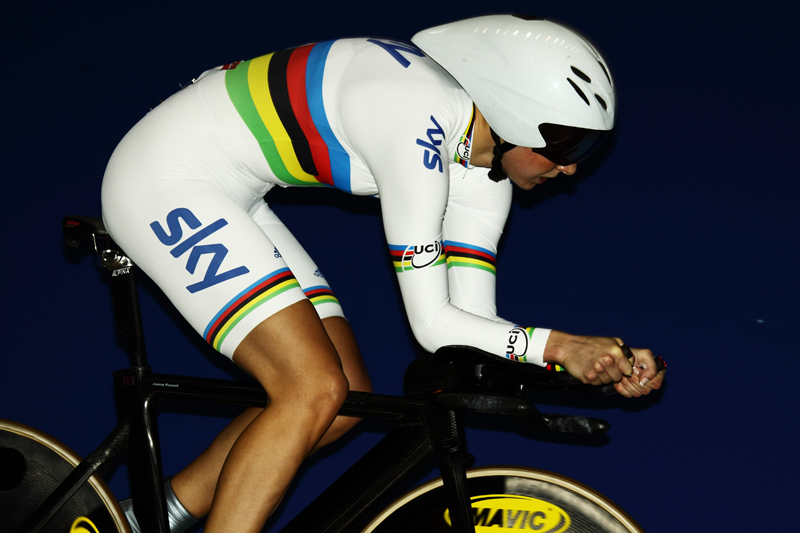 The Women’s Individual Pursuit saw World Champion Joanna Rowsell drop into third place for tonight’s finals. Both Katie Archibald & defending champion Laura Trott will go head-to-head for the Gold Medal. 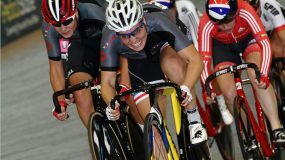 Rowsell will ride for Bronze Medal against Elinor Barker. Andrew Tennant secures his Gold Medal ride off against Steven Burke in tonight’s 4000m individual pursuit. 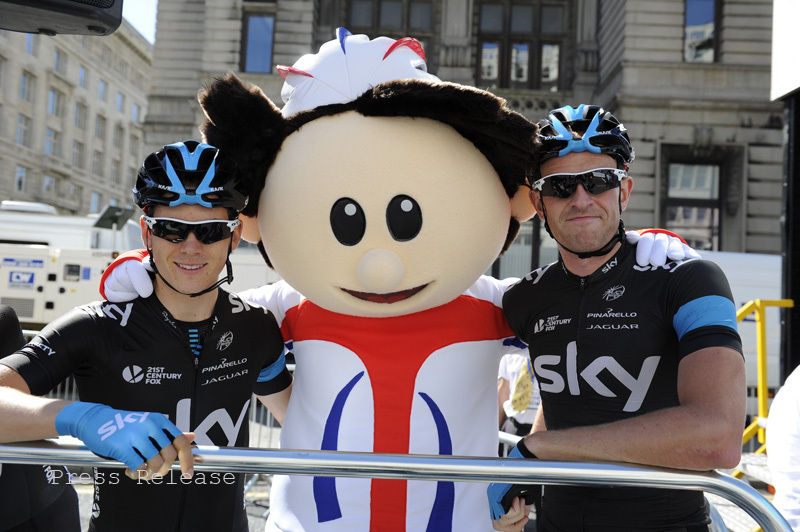 Jon Dibben & Mark Christian will ride for the final podium place. 2013 Champion Laura Trott started her title defence by taking an early lead in the Women’s 3000m Individual Pursuit. Trott had been marginally beat by up-coming trackie Katie Archibald in the earlier qualification session. Archibald responded immediately and was soon matching the pace of Trott. As the race progressed through the mid way point, Archibald began to move ahead of Trott and with every lap, slowly moved into a comfortable two second lead. 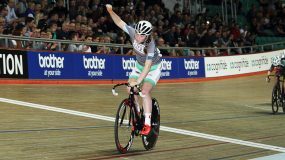 Scotland’s Katie Archibald claims her first senior Track Cycling National Title. 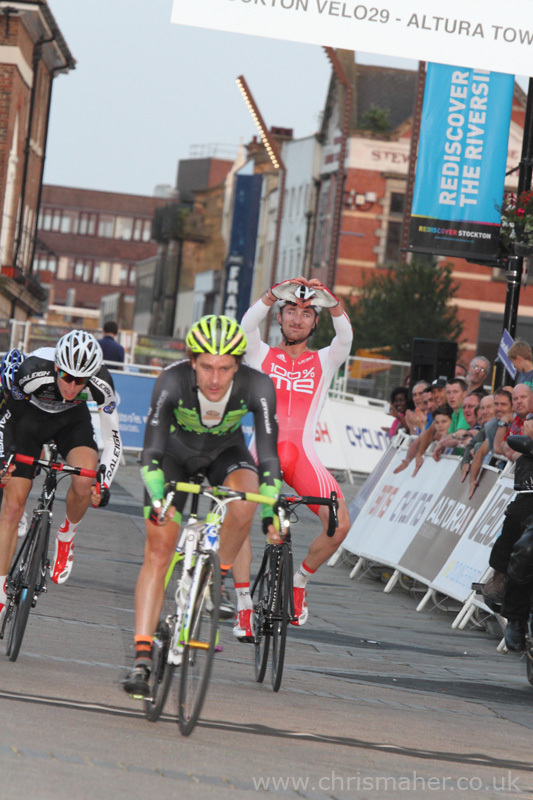 Steven Burke trailed Andrew Tennant in this mornings qualifying by almost five seconds. Setting off at a blistering place in his ride for Gold against Tennant, at one point had him in his sights for that elusive early catch. Tennant kept his machine-like pace, and by the midway point had turned the table, with Burke now in his sights. Burke’s legs were buckling by this point, so it didn’t take much longer for Andrew Tennant, to catch, and take the Championship Jersey.